Have you ever tried smoking a cocktail? It’s the 3rd weekend in April, and we all know what that means. It’s time to take your cocktail adventures outdoors of course! Finally I can put some fire to my cocktails and not worry about dropping embers all over my kitchen! 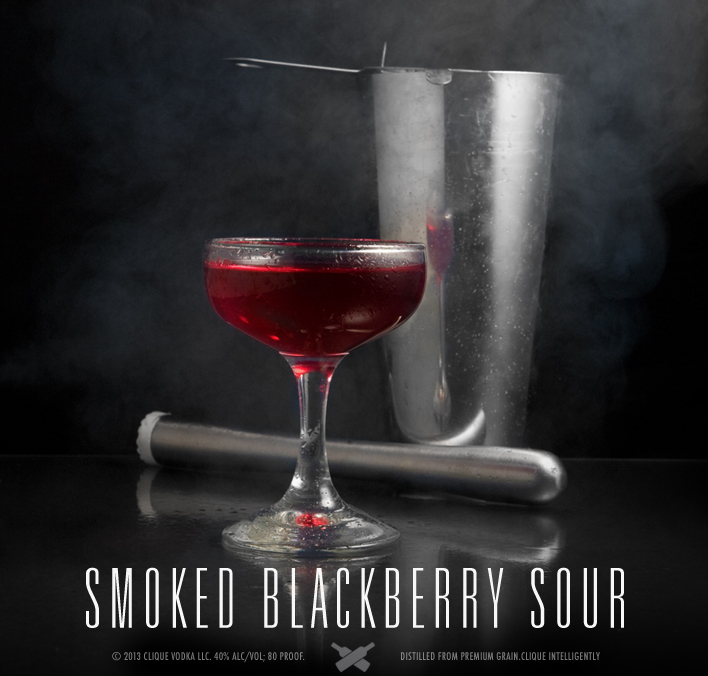 This tried and true “Smoked Blackberry Sour” is one of my all time summer favs, and I can’t wait to be lounging around with a few of these this weekend! 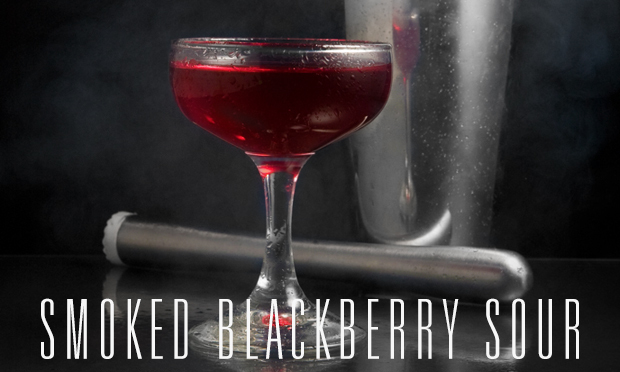 In a cocktail tin add 2 oz of Clique Vodka and 6 ripe blackberries. Muddle well, then add in 1/4 oz fresh lime juice (about 2 wedges worth) and 1/4 simple syrup (optional- 1 part sugar dissolved in part water). Fire up .2g cherry wood chips in a smoking gun and blow the smoke directly into the cocktail tin to fill, then shake well without ice. Add a scoop of ice and shake again, then strain into a coupe glass. No smoking gun? No worries, just put a strainer over top of the cocktail tin and spread out the wood chips. Light them on fire with a butane lighter and wait for them to catch on fire or start smoldering. Top with a mixing glass to catch the smoke, and when they are done, carefully lift the glass containing the smoke, remove the strainer, and shake away!